Did some assault boats for a scenario I am planning, for a Finnish assault on a Russian position during the Continuation War. 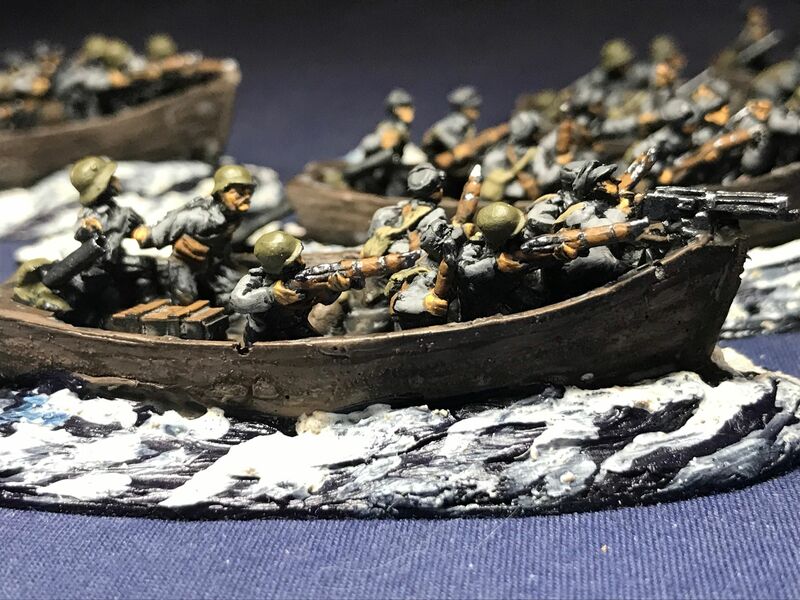 More pictures, notes and how there were made and painted on the blog, link here https://rollaone.com/2018/08/18/finnish-assault-boats-for-chain-of-command. Yes, very nice job! Thanks for sharing. Thanks for your positive comments, it was a fun little project. You are very creative, envy you! Very nice and makes for a change from the usual scenario. Looks like a great scenario.